The First FRCR is normally sat in March in the first year of training (ST1 year) but runs three times a year (September, March and June). The anatomy exam is held in London at the Royal College of Radiologists and the Physics exam can be sat at various centres including Birmingham, Belfast, Glasgow, Stockport and London. Radiological anatomy is different to traditional anatomy demonstrated by dissection or surface anatomy. Each imaging technique depicts human anatomy in a unique way and this is what the First FRCR Anatomy exam tests. The anatomy exam is examined in the form of an electronic image viewing session and consists of 100 questions. They are single images with an arrow pointing to the relevant structure that needs to be identified and named. This exam covers all body systems and imaging modalities. There will be some questions that state ‘What is the normal variant’ as well as ‘identify what structure the arrow is pointing to’. There may even be questions asking what age do certain structures fuse. In some years they may exclude certain topics such as neonatal anatomy, however this is best checked with the information on the RCR website and by checking the specialty training curriculum. However, it is best to learn all anatomy as you would need to know this for your career in the future. The modalities that are included are: cross-sectional , plain radiographs, contrast studies and ultrasound. The maximum mark per question is 2, the least is 0. You get one mark for getting the correct site (as long as you have the correctly named structure!) so always remember to say left or right as appropriate. The RCR has produced a document to give advice for candidates sitting the anatomy exam which can be accessed by clicking here. This can a bit daunting at first but physics is a fundamental part of radiology and it is vital to learn the physics behind imaging modalities to understand how images are actually obtained. This module covers UK ionizing radiation legislation, patient safety and physical principles of diagnostic imaging. This module consists of 200 true or false questions from 40 stem questions and five statements for each stem. Again all modalities are included in the paper. The exam lasts for 2 hours. A tip is not to leave questions blank. If you don’t know the answer it is best to make a logical guess. Always remember to mark the answer sheet correctly and you can rub out the answer if you change your mind. Always check the question number of the answer matches to the question, as it’s easy to lose track of which question you may be on. 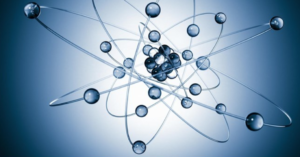 Click here to view sample physics questions from the RCR website. Click here to see the SRT Recommended books for the First FRCR Anatomy and Physics exams.